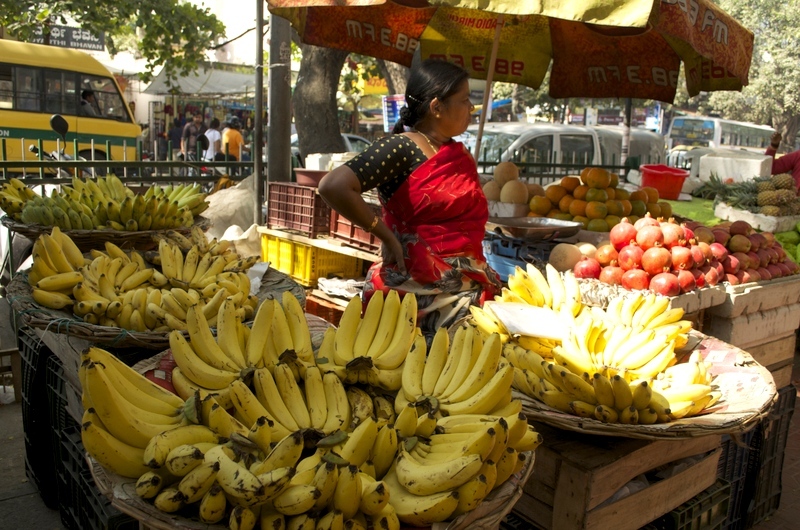 I was there in Bangalore last week for a very short trip! As usual I was searching for a food market before leaving London and I came across a few. 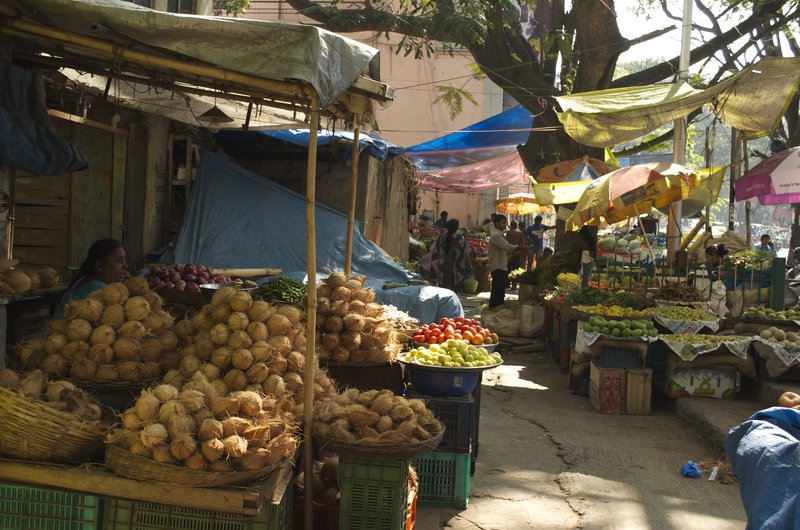 This Gandhi market was the one which caught my interest because it is one of the oldest with street side vendors selling vegetables, fruits and flowers! 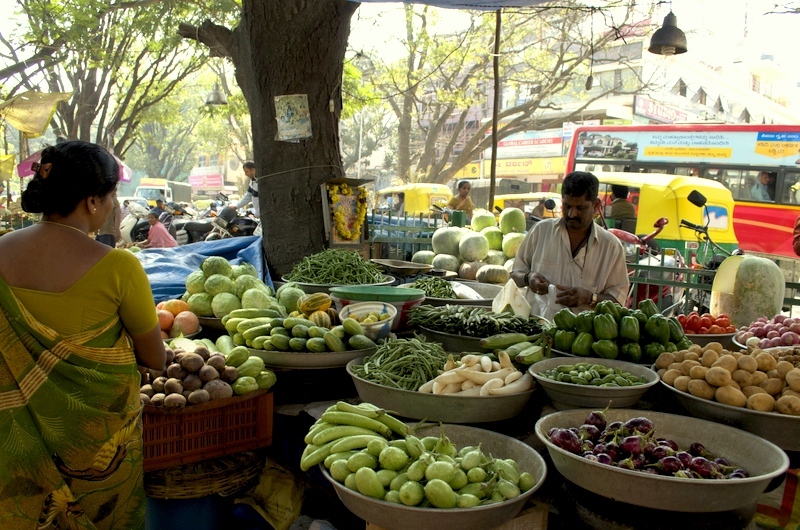 Bangalore is a modern Indian city with many shopping malls, food courts and supermarkets which I believe most of the young generation shop from. 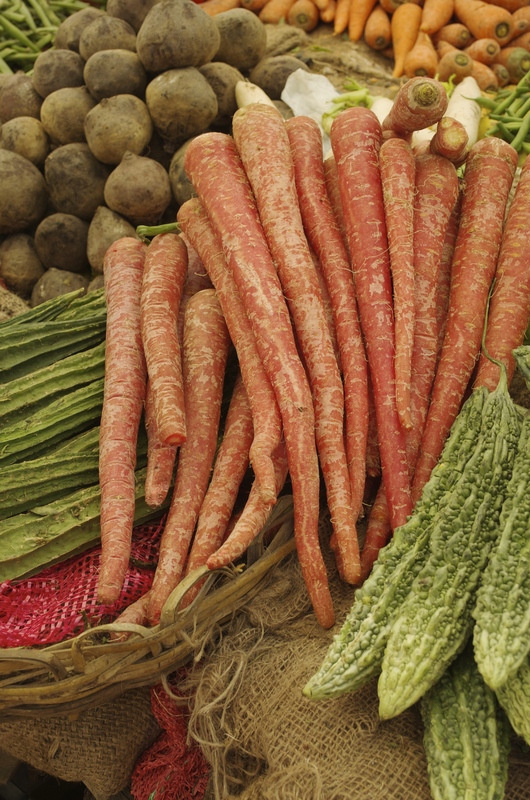 When it comes to fresh produce you can’t beat the old style traditional market! 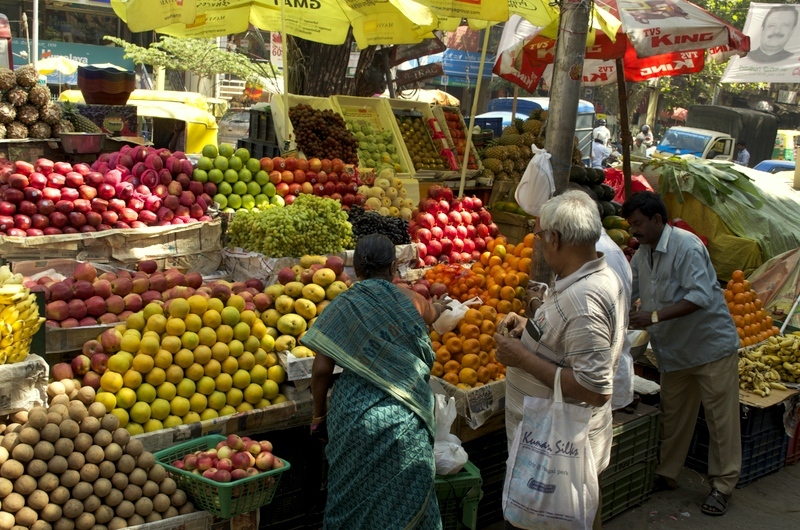 The market is situated in Basavanagudi which is one of the oldest areas of Bangalore city. 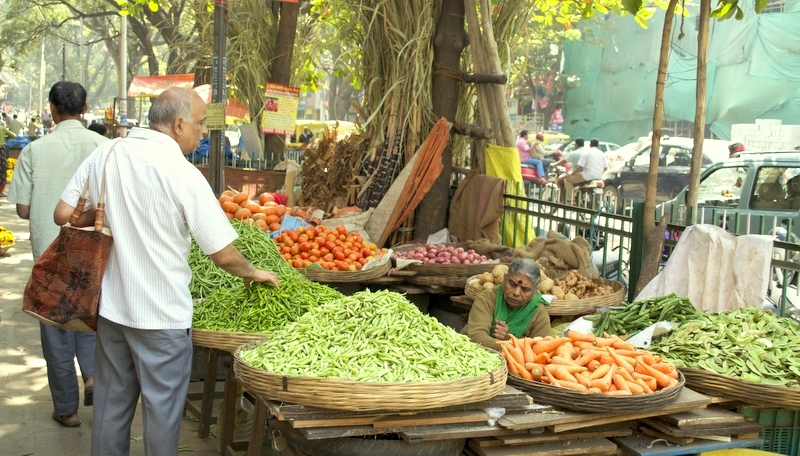 There are small eateries and traditional vegetarian restaurants near the market for people who want to have a small bite. 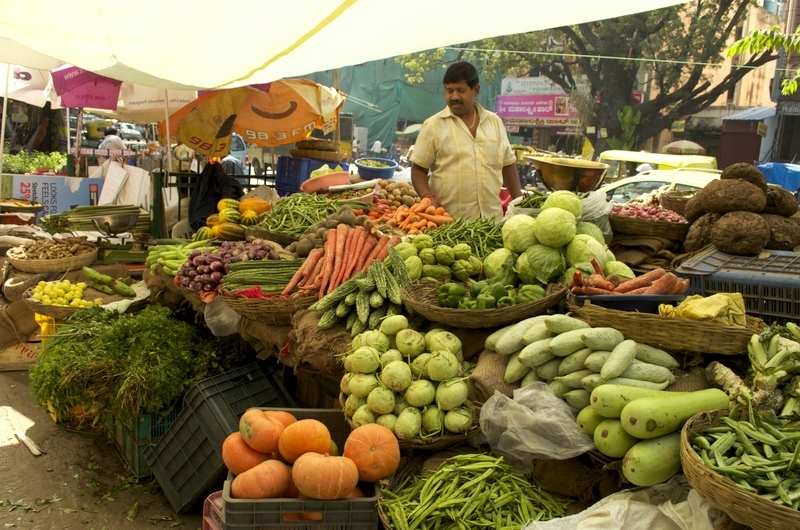 This market is a small stretch of foot path with small shops selling vegetables on one side and flowers and fruits on the other. 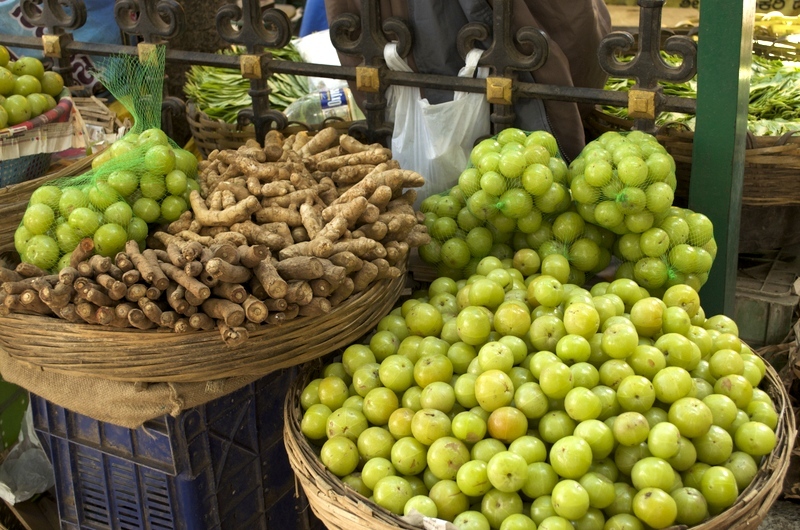 I was advised to visit the market in the morning before it gets crowded and I am glad I did. 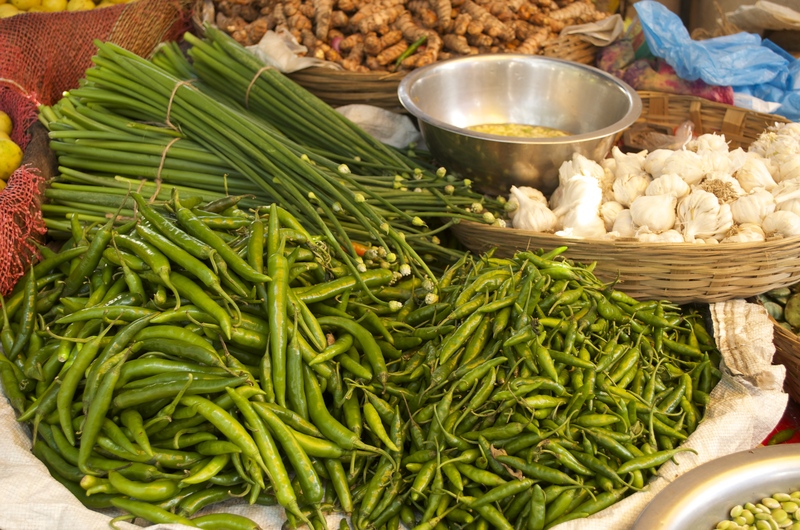 It was an exotic experience with the rare combination of vegetables, fruits and flowers. 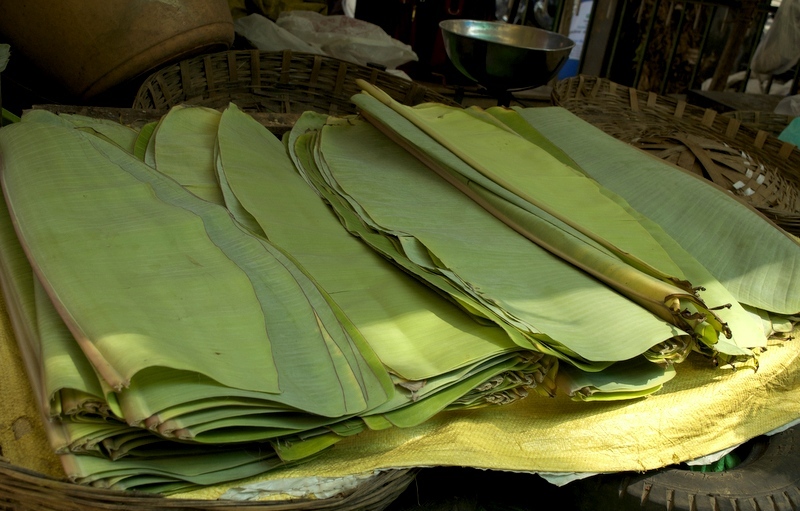 South Indian food tastes the best when served on a fresh banana leaf! 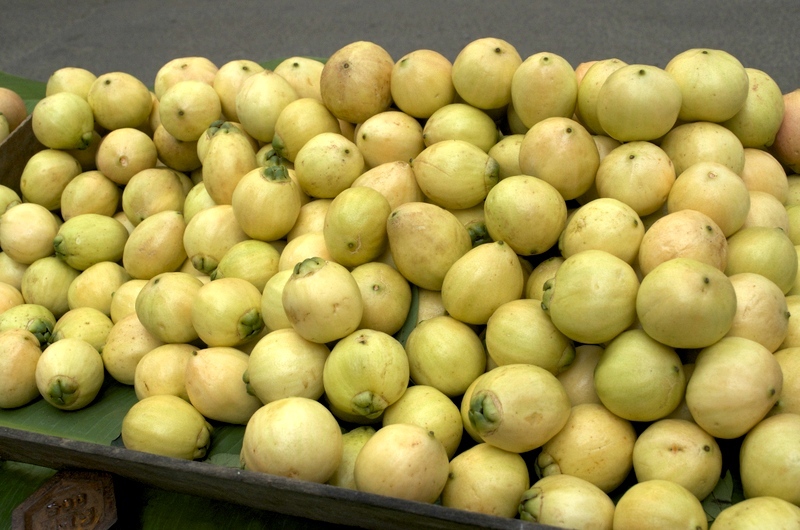 According to my driver this fruit is called Paneer (which means rose water I believe). 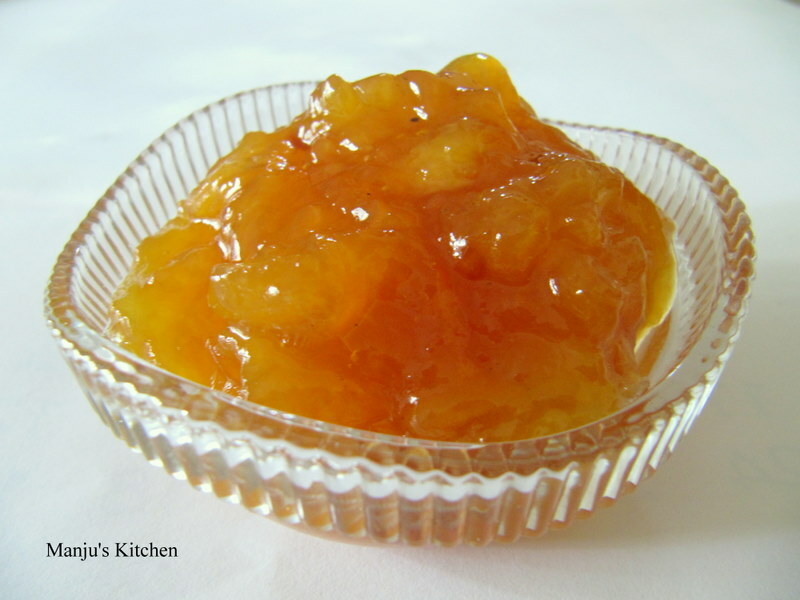 It tasted exactly like roses – sweet with a slight scent of fresh rose water. 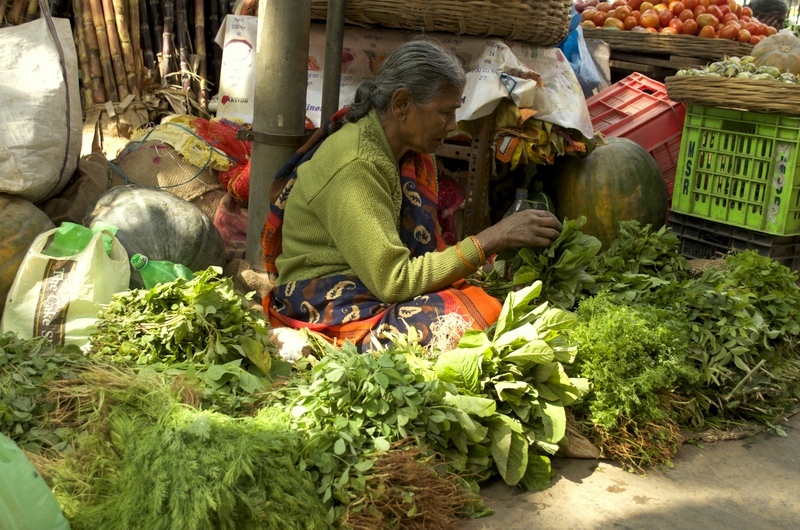 There are things piled around this herb vendor but It is really fascinating how she set up her space among all those chaos! 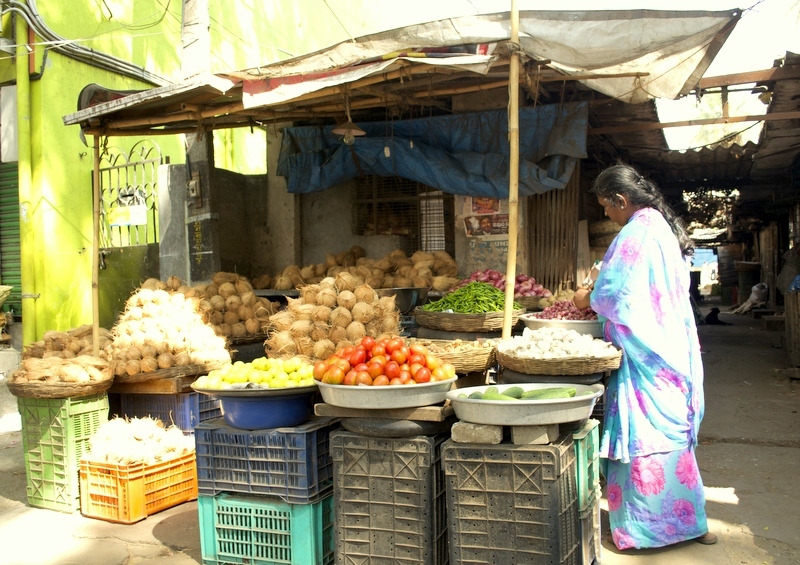 Fresh coconuts are the heart and soul of South Indian cooking. 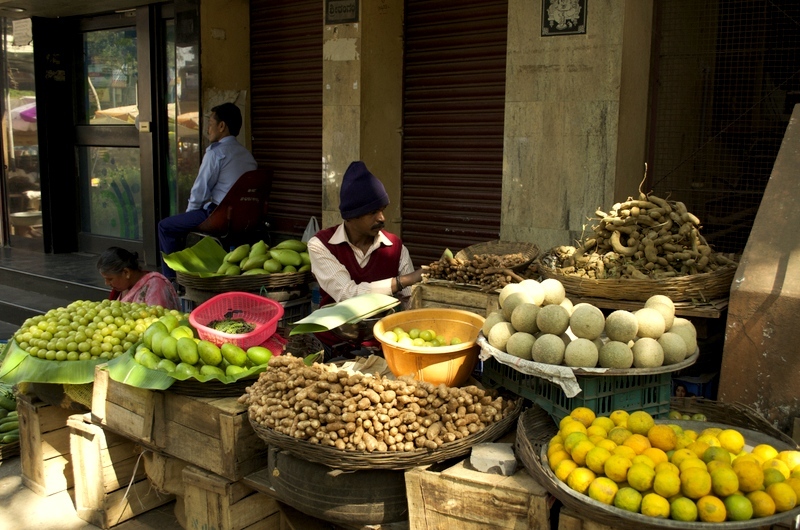 First season mangoes were on sale… I could imagine how the whole place is going to transforming a month during the upcoming mango season. 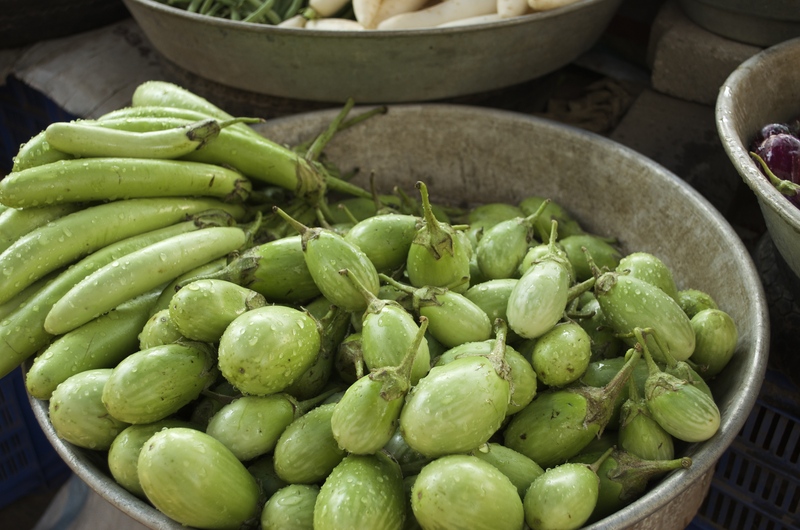 Amala (Nellikka) known as Indian gooseberry was in its prime season. Most of the shops had their own speciality. Since it was mid morning the pavements were still calm. I heard the area gets very crowded towards the evening. This man kindly posed for my camera! I believe he must be on his way to temple in his traditional South Indian attire. 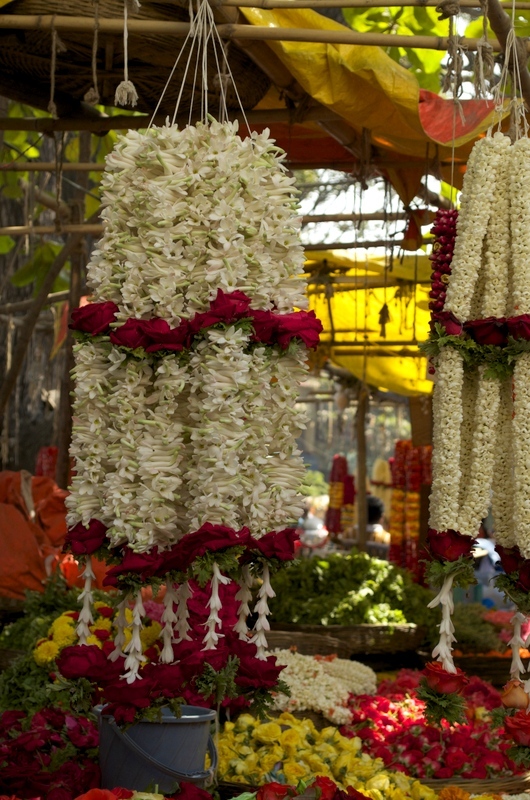 Flowers ready to be picked to become garlands for religious ceremonies! 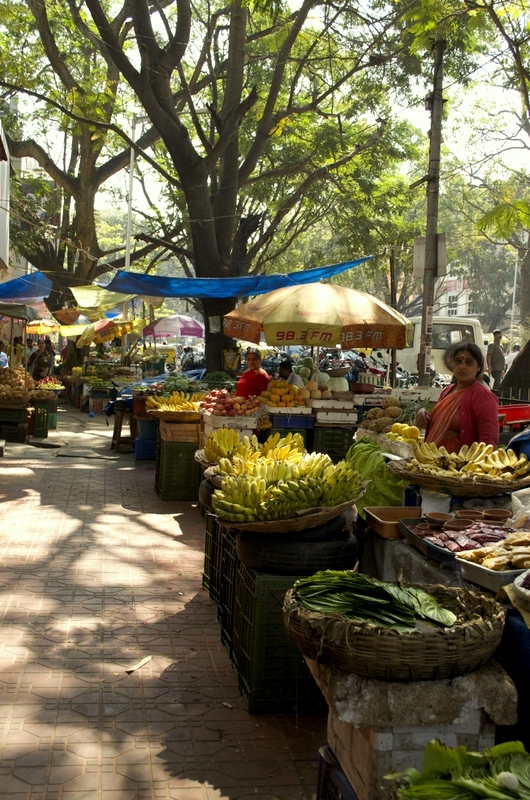 Gandhi bazar is considered as a temple market. 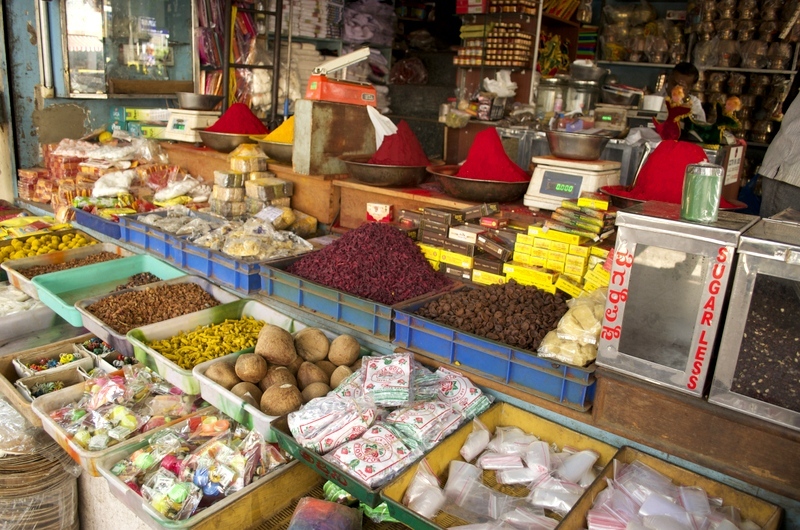 There are shops selling Items required for puja (worshipping) and flower shops selling traditional flowers, garlands and all kinds of auspicious leaves. 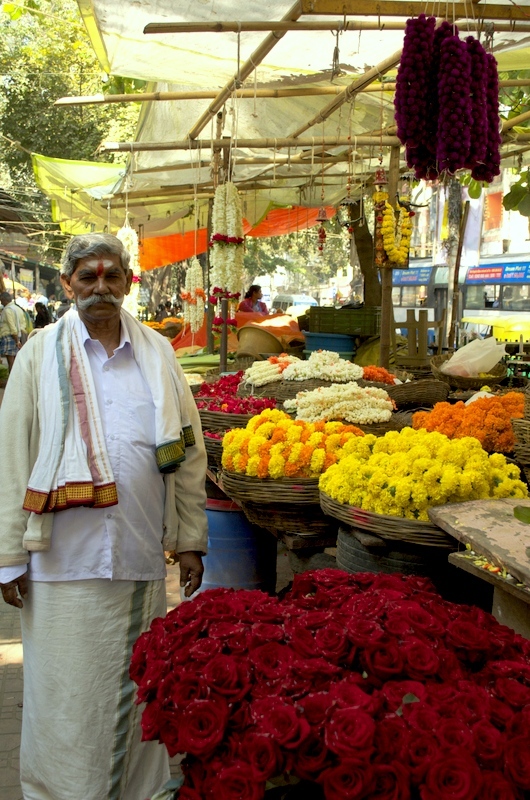 The pavement near the flower shops were filled with the sweet scent jasmine flowers.